Dr. Gordon Warner is a specialist in pulmonary disease, critical care medicine and sleep medicine, as well as in Emergency Medical Services. He graduated from the University of Florida College of Medicine, attended an internship program at the University of Alabama Hospitals and completed his residency at the same institution. 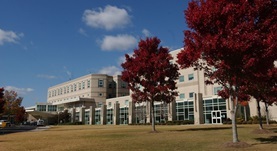 Three fellowships followed, in pulmonary medicine, critical care medicine and sleep medicine, also at the University of Alabama Hospitals. Having a practice experience of over 20 years, Dr. Warner has contributed to several medical publications over the course of his career and is also a member of multiple associations, including the American College of Chest Physicians, the American College of Tactical Medicine and the American College of Emergency Physicians. 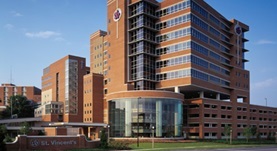 At the time, Dr. Gordon Warner practices at Cullman Regional Medical Center and St. Vincent’s Birmingham in Alabama. Dr. Gordon Warner has contributed to 2 publications. A 48-year-old man presenting with night sweats and dyspnea. Warner, G. S.,Smith, C. A.; Chest. 2008 Aug 07. Evaluation of the effect of prehospital application of continuous positive airway pressure therapy in acute respiratory distress. Warner, G. S.; Prehosp Disaster Med. 2010 Apr 21.